Ever since the announcement that the Tour de France was coming to Yorkshire, Harrogate has had a reputation as a great place for cyclists. With a growing number of local cycle paths – not to mention nearby routes out into the Dales – it’s not hard to see why people love to cycle here. In 2014, the Grand Départ was embraced by locals and visitors alike. Almost 30,000 knitted jerseys lined the route, painted and decorated bicycles were everywhere, and the official fan park was packed full of happy cycling fans. With the Tour de Yorkshire set to come through out district again this month, we thought there was no better time to embrace the love of cycling – so we bring you the Locals’ Guide to the Best Bike Shops in Harrogate. At the bottom of Cold Bath Road lies Prologue Cycling, which specialises in high performance road bikes. However, this is more than just a bike shop – it covers everything from clothing to nutrition for riders. As well as an on-site workshop for those essential repairs, Prologue has a treatment room for physiotherapy and sports massage. It also hosts in-store workshops and seminars to give vital tips to help keen cyclists make the most of their time on two wheels. Of course, if that all sounds like too much effort, or if you just want somewhere to catch up with your cycling friends after a long ride out, there’s an in-store cafe to meet your needs. It offers breakfasts, lunches and home-made cakes, as well as a good selection of hot and cold drinks, including a range of smoothies. Prologue is open daily from 8.30am-5.30pm, and 9am-4pm on Sundays. Naturally, being just a couple of hundred metres from the finish line of the Tour de Yorkshire in Harrogate, they will be going all-out to celebrate at the end of April – and no doubt keen cyclists will be flocking there to watch the action on screen too! In 2010, Big Red opened its doors next to the Odeon Cinema after the owner realised there was a gap in the market – not every cyclist wants to wear the yellow jersey! They pride themselves on stocking high quality, traditional ‘sit up and beg’ bikes. After all, this style of cycle was around long before mountain or BMX bikes. Of course, they do realise that not everyone is going to be meandering around the town, so they also sell an excellent range of hybrids. And if you’re not ready to commit to your own bike just yet, you can hire one. Big Red Bike don’t just sell adult bikes – they have a great selection for children. Not into cycling? They might enjoy one of the stunt scooters available instead. If you’re tempted by their range of bikes, pop in as soon as you can – sadly, they’ve just announced they’ll be closing their doors on 20th May. Until then, there are some bargains to be had! Opening times are Monday to Saturday 9.30am to 5.15pm, except for Thursday, when they’re open 10am to 6pm. For those people who enjoy cycling but find it challenging at times, an e-bike may be the answer. Formed in 2008, Corcoach specialises in electric assist bikes of all types: mountain, trekking, and city. Premium cycles are integrated with some of the lightest intelligent motors and batteries available, meaning that hills can be easily conquered – no more huffing and puffing. Corcoach offer free demos, or you can hire one of their e-cycles to give it a longer trial. If you’re concerned about maintenance, their specialist technicians will diagnose and fix any problems you may have. Owner Andy, pictured above, is also working on a prototype of a new electric bike that knows where the hills are on your ride, enabling it to optimise the power it gives you – perfect for heading out around hilly Harrogate! If you’re considering an e-cycle, Corcoach are located at 1 St John’s Terrace, off Skipton Road, and are open Tuesdays to Fridays 10am to 2pm, and Saturdays 10am to 6pm. Catering to cyclists’ needs for over 40 years, Spa Cycles is located at 48A Camwal Road in Starbeck. Whether you’re into high performance cycling, or need a folding bike to take on the train, Spa Cycles can accommodate you – and any servicing or repairs can be carried out in the on-site workshop. And they sell a lot more than just bikes. Apart from specialist clothing and accessories, you can pick up a tent, and other camping gear. Perfect for those long-distance solo treks: they’ve tried to think of every necessity. Spa Cycles are open Monday to Saturday, from 9.00am to 5.30pm, but if you can’t visit the shop, they offer free shipping for orders over £50. 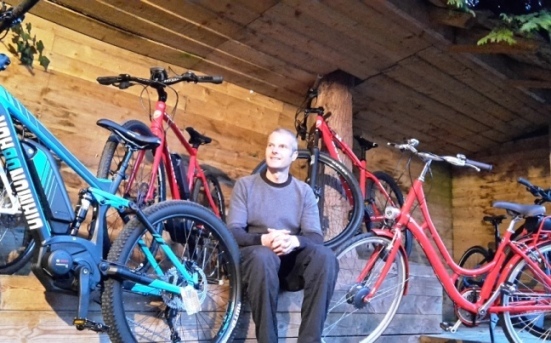 Slightly different from your usual cycle shop, Resurrection Bikes offers second-hand bicycles a new lease of life. 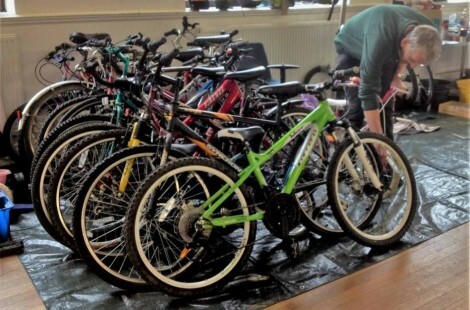 Donated bikes are refurbished and sold on, with the money given to charities supporting people in the UK and elsewhere. The project began as a gap-year fundraiser but seems to have caught the imagination of Harrogate residents and taken off. Run entirely by volunteers, it is still a slick organisation, with dozens of bikes being worked on and made available at any one time. 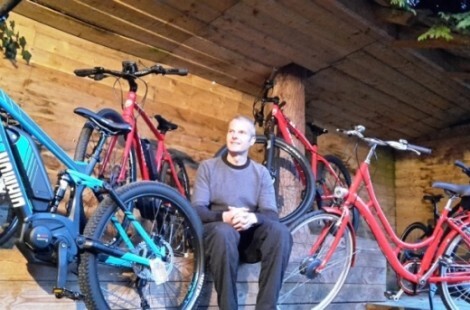 If you visit the workshop at the back of Westcliffe Hall on Harlow Terrace, you’ll find everything from children’s first bikes to adult BMXs, as well as a selection of refurbished accessories. 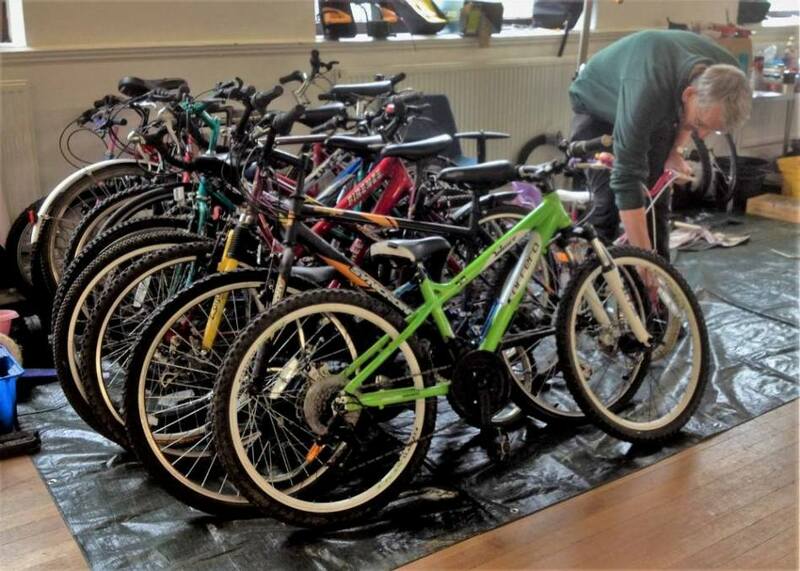 Donations of old bikes and parts are always welcome, so if you’re clearing out the shed to make way for something new, put your old bike to good use here. Opening hours are Fridays 10am-4pm, and Saturdays 2-5pm. Collections can also be arranged. Once you’ve found the best bike shops in Harrogate and decided on the ideal bike for your needs, why not try it out one of the popular cycle routes in the area? 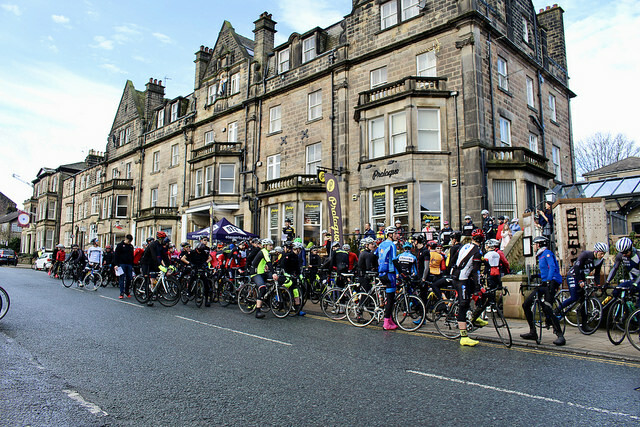 Click here to find a selection of challenging and easier rides, courtesy of Visit Harrogate.